CYBORG / STAR-LORD & KITTY PRYDE / FALL OF BLOODSHOT / CAPTAIN BRITAIN & MIGHTY DEFENDERS [Reviews]: Guardians of Knowhere. I’ve gotta start with a standing slow clap of appreciation for the artwork of Ivan Reis (Aquaman) and Joe Prado (Convergence) in this comic. Every cell on every page kept me engaged and entertained, regardless of the dialog. There is one element I enjoyed and respected more than any other in this debut comic: I love that Cyborg is NOT a black superhero. Cyborg is a superhero.. that just so happens to be black. There is no over expression of black stereotypes, no forced slang, and essentially, no coonin’. Victor Stone is an intelligent person; his parents are intelligent people. He also seems aware of his emotions and confident enough to express them. This is a huge contributor to the quality of Shaft comic scribe David F. Walker‘s writing. There is such a natural progression of the dialog– nothing seems forced, rushed or out of place. Come with Vic if you want to live. While I appreciate the emotional maturity of Cyborg, the issue was packed yet too densely with feelings. It’s great to see such a human side of a man that’s made of mostly metal. It’s good to see a hero that’s more than just a bad-guy fighter with a girlfriend. However, too many pages of this issue are dripping with Drake-level emotions of loneliness and neglect. I get it; it makes sense; but I wish it was spread out across a few more issues so it didn’t come across as crying. Point blank, Cyborg’s solo career is off to a great start. While this Deacon was a little annoyed with the overly emotional aspect of this issue, it’s not nearly enough to discredit the naturally written dialog, solid story, and amazing art. 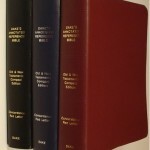 3.75 (out of 5) Bibles. So, you’ve been enjoying the brutal, dimension-bending fun of Secret Wars so far but you’ve been wondering if Star Lord and Kitty Pryde would finally get their own plotline. Well worry not, comic geek– thanks to Marvel veteran writer Sam Humphries (The Lgendary Star-Lord) and superbly talented artist Alti Firmansyah (Tomorrowland) your wish has been granted. Star-Lord and Kitty Pryde #1 is here and within its glossy pages lie what can best be described as a great episode of Star Trek: the Next Generation; you know the ones that take place entirely on the holo-deck and have Data playing Sherlock Holmes? Star-Lord , the real one from our universe, has taken on the assumed name Stevie Rogers (a nod to Cap) in an attempt to stay under ‘god-king Doom’s watchful gaze, and works for a VERY different version of Drax who runs a nightclub. Star-Lord sings for his supper, crooning to the nightclub audience renditions of every Disney song in the canon (we get it Disney, you’re happy to own Marvel.) As silly as it could be though it has a weird charm that keeps you from groaning and rolling your eyes, which is good because you’d miss Gambit and Kitty Pryde’s entrance. Gambit in this universe is The Collector, and Kitty, as shown on the cover, has the Earth-295 claws and is trying to make a deal to identify some genetic material in exchange for a set of knives made out of Long Shot’s bones.. Cool and gross. Excitement ensues as the deal is foiled by Star-Lord, who longs for the Kitty Pryde from his universe and is feeling protective of this one. This is a fast-paced, fun intro to what promises to be an exciting part of the series. 4/5 Bibles. Valiant’s Book of Death: The Fall of Bloodshot #1 has more heart than I’ve seen in alot of comics I’ve read for GHG. As a machine of war, Bloodshot has existed beyond time; for his own perception of peace, they keep pulling him back in. All-New Hawkeye writer Jeff Lemire‘s script is clever and Brian (X-O Manowar) Reber‘s colors are vivid and, perhaps best of all, Doug (Armor Hunters) Braithwaite‘s action is clear. The Fall of Bloodshot also has a very somber but heart-warming ending. 4.5/5 Bibles. Battleworld. It rumbles on.. A celestial Pangea of collision-bound warzones, inhabited by a clusterfucked conglomerate of cosmological comic cons and heroes combined. They say nothing arcs the nights sky up there, far above those atmospheres, juggernauted and jaunted. A veritable hexagonal grid of Doomly proportion, running scrimshod, over our naked-eye view of familiar constellations. Marvel’s Guardians of Knowhere #1, reduces the roaming zone of our heroic quadfecta’s galaxy; to the perimeter within the hole in the head, they often call their home. Mike Deodato’s (New Avengers) mercurially deft bravado in pencil and line, and Frank Martin’s (Thunderbolts) enviably brilliant spectrumastery in color palette and layering, are executed with double-bladed, vorpal precision — rendering Knowhere’s architectonic spaces in Euclidian precision, while giving gargantuan girth to the viscerally organic lifeforms there; as all of it swims ethereally, within a delicious cosmic broth – heavily-seasoned, hinting at more destruction to come! Ground’s being pounded, and the streets are all chummed up! Watch the blood splatter! See it squirt from Knowhere’s eyes sockets! And hit Thanos, square in the face??? While Knowhere #1’s visual bravura intoxicates the orbitals into graphic insatiability, Brian Michael Bendis’s (Ultimate Spider-Man) efforts at wordsmithery, may have proven even more effective had he gone all the way through the minimalist wormhole of his own making: His lack of eliciting even the slightest intrigue with his rote story, would’ve been better served up had not a single word been written at all (this, despite the fistful of Eisner, Bendis owns). I was reminded of how mind-blowing the animated shorts of Aeon Flux, from MTV’s Liquid Television, circa 1991, were, without one stitch of dialogue. Might Marvel, want to attempt to make this title teeter on the precipice of Knowhere’s brow? I say: 86 the writing from this zine, and have it meet up with Jack Kirby’s dusty corpse… 2.5/5 Severed Alien Heads. Dark Horse Comics has brought a new hero to you in King Tiger, a reformed man out to protect the world from evil things that are demonic in nature. Dark Horse editor Randy Stradley (Star Wars: Legacy, Star Wars: Empire) and Doug Wheatley’s (Star Wars: Dark Times) King Tiger #1 starts out slow– giving intricate details until the very end; good thing is, this particular super-protagonist is highly enjoyable. With the aid of his new assistant Milo, King Tiger is a magical sorcerer determined to turn his dark side into a vigilante of sorts. Typical, but, with the beautiful, dynamic art of Wheatley and the imaginative story build of Stradley, this comic is sure to have a great journey and adventure to be experienced. Ugh! I can’t wait for more. 3.5/5 Striped Bibles. King Tiger #1, on sale August 12. It’s like deja vu all over again. Welcome back to the fractured realm that is Battleworld, where Doom is God and things ain’t quite what the used to be. Let me try to get you up to speed. In this reality, Ho Yinsen wears the platinum pants, not Tony Stark because he’s, well… Dead. Until, that is, a bullet finds the spot between his eyes and he follows suit, forcing his daughter to carry on the family metal. Likewise, Peter Parker has passed and a new Spider Hero dons the webbing, while Jennifer Walters (a.k.a She Hulk, a.k.a Thor…) plays judge, Judy and executioner enforcing all of Dr. Doom’s psychotic laws. Rounding out the squad is Ava Ayala, the White Tiger. Each of these fine figures seem to be suffering from similar forms of memory regression, dreaming of alternate realities with alternate versions of themselves. Sound familiar? But here’s the kicker. None of them may breathe a word of it lest they be punished for heresy. *Cough* ISIS *cough*. Anyway, all this mumbo jumbo takes a backseat as a lone figure in white crosses the desert, bringing hope and salvation with her. It’s like if Lawrence of Arabia were in 1989 Berlin with a sword named Hasselhoff. Instead, it’s Dr. Faiza Hussain as Captain Britain, the gal who briefly took up the mantle from Brian Braddock during Age of Ultron. As she is the only one with her wits about her, a leader she is made. And a leader they will need if they are to survive the perils of Mondo City, which is basically like Singapore, sponsored by Frank Castle. Shyamalan would read it and say “huh”? Nevertheless, there’s a snow ball’s chance the payoff will be worth it a few issues down the line. If you can make it that far. 2.75/5 Bibles, mostly for the artwork. Previous PostPrevious SDCC 2015 [Wrap-Up Podcast]: Ministers With A Mouth. Next PostNext PIXELS [Review]: Son of a Bit!